On my way to the second day of the Yoga for Teens training course, I reflect over the common themes that always come up on these days, 28 people from all over Europe, united in one vision to support young people with yoga, have all noticed the same thing – young people are increasingly anxious, lacking in self esteem and are suffering. Coming together, teachers, psychologists, counsellors, psychiatrists all see one solution – yoga. In their own practise, yoga has taken them through difficulties and shown them hope through self care. We all wonder together with one voice: “what is it that happened, why do young people suffer today?” Huddled in groups, they tackle these questions, investigating the development of the adolescent brain and the psycho-social issues that play such a large part in lives of young people today. 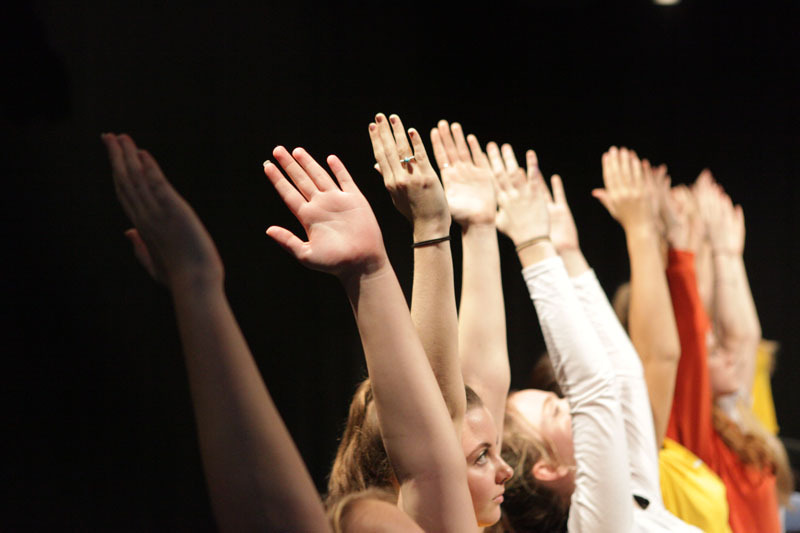 Bringing yoga into schools no longer seems such an odd idea, as it did 15 years ago when we started mooting the concept in Somerset state sector schools. Now over 25 % of schools offer yoga as either part of the curriculum or as an after school club. The new directive from government to employ mental health leads in every school has opened up the opportunity for so many TeenYoga Teachers to go in and offer yoga as part of a wellbeing programme both for target groups, teachers and for the general student group. Given 75% of 14 year old girls opt out of PE, yoga proves to be a popular alternative, taking them away from the competitive atmosphere of GCSE and into an accepting, self-caring space. state it as an obvious solution and they listen. Yesterday was the 4th International Yoga Day and all over the world, yoga was being practised and celebrated in various ways. 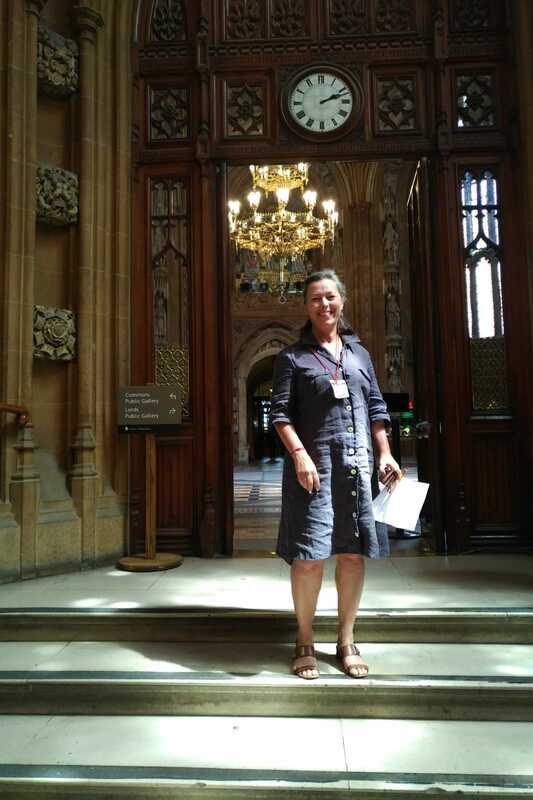 I spent the day at the House of COmmons at the APPG on yoga in society, where i found myself pinching myself again and again at the incredible steps we are taking towards the acceptance of yoga as a healthcare initiatave and as support in education. Theorists say that an idea goes from Ridicule to Rejection to Acceptance. Any of us who have worked in yoga in education or even yoga in general can bear testimony to this. In the 70s Yoga was seen as cultish and hippie, in the 90s it became fashionable among the cognoscenti and today it is being rolled out in all areas of society with government getting on board. Yesterday at the House of Commons, I was invited again to participate in a meeting for the APPG on Yoga at which I represent the Education vertical. Listening to the peers and experts speaking about yoga and yoga in schools in particular, it is clear that we are at the beginning of a burgeoning surge in interest for yoga. Julie Montagu spoke eloquently about the importance of bringing yoga to everyone as she shared her personal journey from anguish to joy and went on to reiterate the importance of using social media to bring awareness to the general public. Dr Justin Varney, who works in Public Health outlined the criteria for bringing yoga into the Health Service in a meaningful way. He reiterated that the research on yoga is fundamental and that in 2007 there were only a few meaningful research papers and today there are around 400 research papers being produced every year. This indicates that there is a rise in interest and serious enquiry into the effects and supposed effects of yoga. Josefin from Sweden gave us an overview of yoga in Prisons all over the world, from Mexico to India and Sweden. She gave us some beautiful quotes from prisoners who felt their violence and anger drop away in yoga, positing that the re-offending statistics could drop significantly if many continued with yoga outside of prison, thereby saving countries money and saving lives. Preaching to the converted, around 100 yogis sat smiling and content that finally what they knew all along was being explored and expressed, namely that yoga brings peace and when practiced extensively could potentially change the heart of our nation, bringing it to joy. As head of the Education vertical in the APPG, I feel the importance of bringing a solid and unflinching cohesion to the community of yoga teachers working in schools or with children outside of school so that we speak with one voice clearly and concisely, working together in solidarity. When we report to government in this way, our voice wil be heard loud and clear and acted upon without hesitation. This is a call to all kids’ yoga teachers to come together in harmony and move in the same direction, to bring yoga to young people all across the UK in an optimistic, simple and compassionate way. I believe that yoga in schools and for kids could be the answer to so many issues that we are tackling today: obesity, anxiety, disembodiment (and all that that entails) and failing schools. Mindfulness has paved the way and the UK has been a long-term innovator in society, so let’s lead the world in this vision of yoga for children as a way to bring harmony, authenticity and joy to our kids and for our future. Maybe the yoga community could model a new way of leadership, that supports and empowers, that listens and brings together and that moves as one, adhering in this way to the fundamental principles of yoga. Many young people are preparing for exams now – whether it is end of year, GCSEs, A Levels, or Uni exams. Yoga is well known to combat stress. In one study we did together with the CBeebies, cortisol (the stress hormone in the body) dropped by 30% at the end of the class, but more interestingly, the whole class started with a 20% lower cortisol rate than the control groups. This means that week on week, your stress is reducing and the benefits are cumulative. 1 – when we stretch our body, we are indicating to our brain that we are relaxed as a stressed body is a tense body. 4 – we focus on one thing, the breath or a mantra, in order to train the brain to be strong and not wander or ruminate, which is the basis of so much anxiety. To be able to focus, brings success in any field. 5 – Philosophically – we distinguish between what is real and what is unreal. We look at our lives and we see it in a philosophical perspective, where we are no longer at the centre, but just someone who is learning lessons, whatever they are – this brings us into a more detached mode of thinking. So when you get home, lie down and pop your legs up the wall and breathe deeply. Make sure your outbreath is longer than your in breath for about 15 to 20 minutes and you will soon feel a difference. Why are young people ‘disembodied’ and how can we help? As I was training a group of secondary school teachers, psychologists, social workers and psychiatrists last week to share yoga and mindfulness with teens, it became more apparent than ever that poor mental health of our young adults is not showing any signs of abating. As the group shared the reasons for coming on the course, many mentioned how the young people seemed disconnected from themselves. The psychologists used the term disembodied. Many young people, they felt, were disconnected from their bodies, viewing their own bodies as objects, to be controlled or punished with food or exercise, but not to be listened to or respected. Many live their lives as it were, outside themselves, viewed through the lens of the Instagram or snapchat conversation. Our bodies are wise temples of information, prompts and intuition, our bodies never lie. When we practise yoga, we get in touch with our bodies and we feel into pleasure, as well as aches and pains, to discover and listen to underlying emotions. When we ignore messages from the depths of our bodies, we are more likely to live in our minds – our minds were never meant to be our masters, they are the servants of our intuition, our knowing. But when the mind runs riot, it plays havoc with our lives and we end up out of balance. We concluded on the last day of the course that we need to bring young people back in touch with their own bodies, so they might be less likely to fall foul of the vagaries of shifting mood states, emotions and destructive thought patterns that can lead to anxiety and depression. We need to connect the body with the mind and recognise a third, even wiser dimension, which can guide us towards a more fulfilling life, some call it the soul or the spirit. Yoga opens us up to this possibility. When I hear of the students in Bath supporting their lecturers, I reflect on the first principles of yoga. Since the referendum to leave the European Union, the voice of young people has become more succinct. After what feels like decades of silence, it seems that this generation is engaging more in politics and the future of our country. Having worked with young people throughout my life, I am often aware of how disempowered they feel in the light of decisions made regarding them and their own future. It strikes me that these honourable qualities of compassion, justice, hope and solidarity indicate a vitality many of us lack due to years of contraction, cynicism and fear. To stand up for what you believe in, shoulder to shoulder with others who feel they have been treated unfairly takes courage and insight and can be a timely reminder to the rest of us to reach towards an expanded awareness of justice for all. At the heart of yoga lies ten guiding principles, which are often overlooked, including compassion, truth, discipline, contentment, purity, devotion to higher principles. The yoga practise encourages us to act from these ideals within a framework of self-care. When we act from a place of ahimsa (compassion) – which is the first principle of yoga – our expression will be gentle and support the greater good. In a society that mostly encourages comparison, consumerism and rampant egoism, it is refreshing to know that there is a current flowing in the opposite direction, expanding us towards compassion and solidarity. Teenagers are rowdy, vital, mischievous and give us a run for our money. Their task is to differentiate themselves from adults in order to belong to a group that defines them. This task needs to be met with respect and support, so that they can learn to become responsible adults. When young people misbehave, we feel the need to punish them. When little kids act out, we find ways of controlling or mitigating their behaviour. But teens are bigger, noisier and can seem more threatening. Many teenagers become rowdy because they are feeling upset, insecure, or they want to impress their friends or test the boundaries of carers and other adults who are there to protect and guide them. Yoga teaches us compassion, it teaches us to embody what we want to see in others. If we want to see tolerant, respectful, responsible citizens, we need to embody that in the way we deal with them. We need to attempt to understand their behaviour and go beyond the chaotic exterior. Many young people are suffering from anxiety and other debilitating mental health issues and they turn to us and ask – help us to help ourselves. In my experience as a school teacher and teacher trainer, I feel we are not doing enough to support young people to navigate their emotions and find an equilibrium in a judgmental and rapidly changing world. We need to find calm and we need to teach young people to find calm, to find a space where they can breathe, relax and let go. Hearts come home at Christmas – embroidered delicately on one of my Christmas decorations, made me ponder, made me reflect on belonging. It has come up a lot for me recently. My father died a few years ago, my sister lives far away as does my mum, my boys are slowly leaving home and I divorced their father ten years ago, I was born in Africa and my mum is Swedish. I was brought up in London and live in Somerset. At a time when ex-patriots are being sent back from the USA and the UK as well as many other countries, the march of nationalism begs the urgent question – where do I belong? I live in a Somerset village where there are two or three dominant surnames echoing among the hills and rooted deep in the clay of the earth. Families belong to the land, memories are tied to the land, its changes and how it has served them through generations. On the occasion of my 50th birthday I felt literally drawn to the place of my birth, Kitwe Zambia – I took a bus to the hospital where 50 years earlier I was born. I wanted to enter, find the room, find the doctor and find the time when I came into this world and landed on this red, hot earth which hides diamonds, rubies and emeralds. I felt a strange longing, a subtle recognition of the smells of bodies, dried fish, earth and other unperceived and unnamed objects and wafts on the wind. I felt I belonged, a white face among black, a privileged woman among those who had never travelled, never worked and never seen what I had seen. I belonged. I watch my mother flying back to Sweden as soon as she can, having lost her anchor, my father, her boat steers her home, where her heart is – the land she recognises, the language that flows easily from her tongue, the subtle social hints that belong to her. I watch my son return from university and nestle in his boyhood room, with his cat in his space, where he belongs, his internal sat nav draws him inexorably home. We move, we uproot ourselves, we travel, we change partners and even families. The subtlety of belonging is lost. Lonely and adrift, we search for belonging in community. Somehow, we got lost in the understanding that we can relocate, break up, start again, lose someone and just carry on, recreating our belonging again and again. I detect a brutalisation of our needs and wants, a brutalisation of the subtler aspects of being human which are connected to being joyful, safe and feeling necessary. We seek refuge in the oasis of belonging. Since 2007 I have been creating communities, first here in the village, a yoga and wellbeing community, then nationally, with retreats and now globally, we create communities of teenyoga teachers, who come together to celebrate the empowerment of our future leaders through yoga. Because I’ve discovered that to belong is to feel joy.